For many people, modern work isn’t working. In an increasingly insecure UK labour market, poverty rates have risen for every type of working family and one in eight workers nationally is now in poverty. Our Greater Manchester Independent Prosperity Review, launched earlier this year, found that wages have fallen by 6.6% in real terms between 2006 and 2016 for the average worker in the city-region, in a labour market which has seen a rise in unstable and low paid work. This can’t be right. 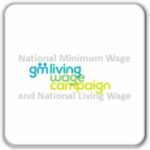 We need to be offering employees secure, fulfilling and well-paid work that prevents them from falling into poverty in the first place, and that means that our businesses can grow and succeed based on the skills and engagement of their staff. 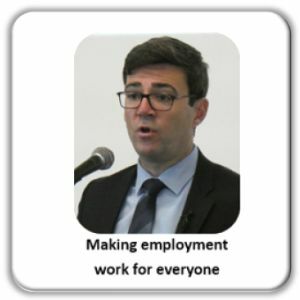 That’s why in Greater Manchester we’re doing things differently, working with employers and employees in all sectors, trade unions, business representative organisations and other key stakeholders to develop a Good Employment Charter. We want to bring employers with us on a journey towards best practice in each of these fields, demonstrating the positive impact that better employment standards can have on employee welfare and business performance alike. The Charter will therefore have a tiered approach to help support and encourage employers to share excellent practice, access support to progress to higher standards, and help them become more successful as a result. Through our co-design process and as we move into the implementation of the Charter, we’re building a coalition of organisations committed to improving employment practice and offering fair conditions for their workers. 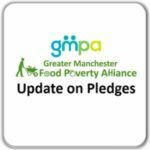 In this way, Charter members will be at the heart of the movement, demonstrating its values and spreading its influence and positive impacts to other employers in Greater Manchester – advocating membership amongst their networks and supply chains. Our Charter model has now been agreed by the Combined Authority and, working with partners, we are beginning the process of putting the Charter into action. 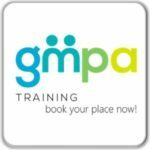 Already, it has been highlighted by the recent Greater Manchester Independent Prosperity Review as an important element in increasing economic growth and pay in the city-region. I’d like to thank GM Poverty Action for the help and advice they have provided throughout the Charter’s design. I believe the model we have created together can and will make a real difference for people in Greater Manchester.